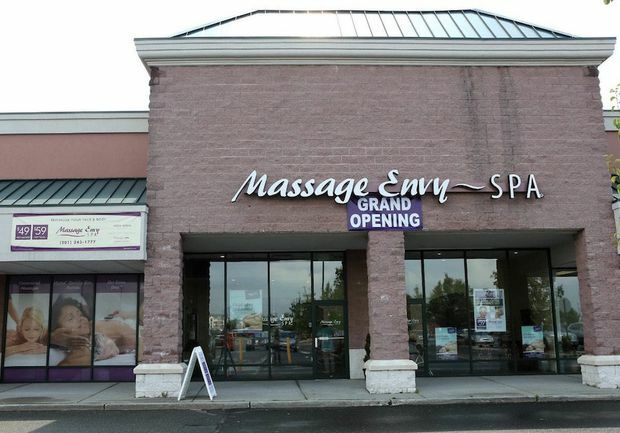 Lawyers representing women across the country alleging they were sexually assaulted at Massage Envy franchises have added another New Jersey woman to their lawsuit – bringing the number of plaintiffs to five in the state. The latest case of alleged assault at a New Jersey Massage Envy occurred in Short Hills, according to Stewart Ryan of the Philadelphia law firm Laffey, Bucci & Kent. It’s the second claim of a sexual assault at that location, according to the complaint. The first alleged assault involved a different woman on Jan. 23, 2015, the lawsuit states. Other assaults in New Jersey are alleged to have occurred at franchises in Piscataway, Closter and Mays Landing. All of the allegations involve male massage therapists who allegedly assaulted female customers. Stewart said his law firm is preparing to sue Massage Envy on behalf of victims in Pennsylvania, Delaware, Texas, Massachusetts and New Mexico. “We currently have 93 clients and the number grows almost daily,” Stewart said. Other suits have been filed by attorneys across the United States, bringing the number of plaintiffs into the hundreds. In January, a former Paterson woman now living in Florida claims she was assaulted at a Massage Envy in East Hollywood, California. A woman who claims she was assaulted at the Piscataway franchise spoke publicly on Monday during a conference at the National Center on Sexual Exploitation in Washington D.C.
“The closed door seemed so far away,” said the woman, identified in the New Jersey lawsuit as Jane Doe #1. “All I wanted to do was pass out. Frozen and confused and shocked and vulnerable, all I wanted to do was run. Some of the New Jersey women who have alleged assaults said they reported the incidents to franchise workers or managers but nothing happened. “In our lawsuits we allege that Massage Envy knew about the problem of sexual assault (and), beyond simply doing nothing, in fact discouraged reporting to police and other authorities,” Stewart said. Last year, New Jersey permanently revoked the license of a Massage Envy therapist accused of inappropriate conduct at two locations in Monmouth County. Anthony G. Attrino may be reached at [email protected]. Follow him on Twitter @TonyAttrino. Find NJ.com on Facebook.